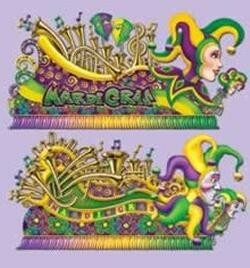 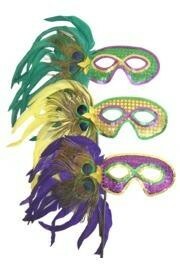 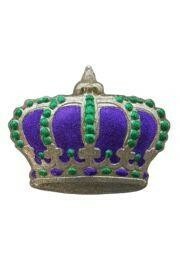 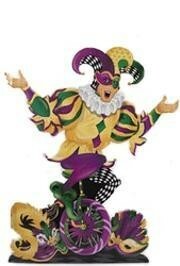 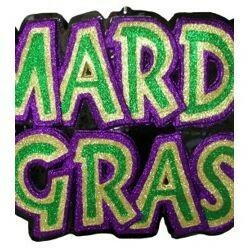 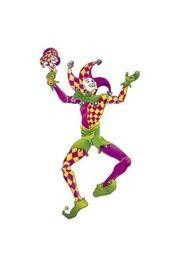 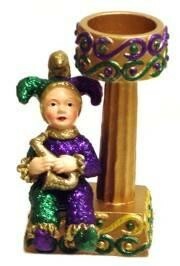 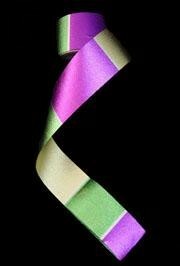 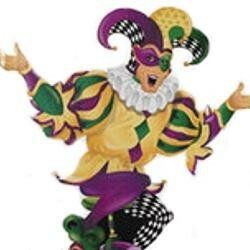 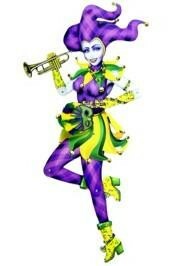 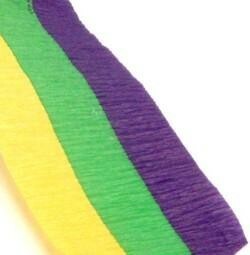 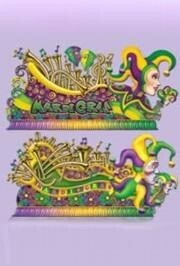 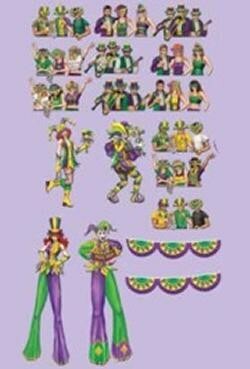 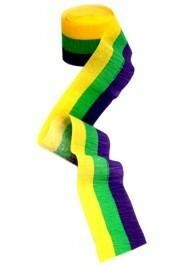 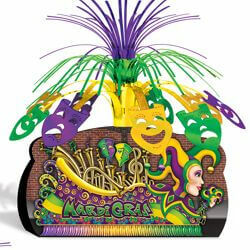 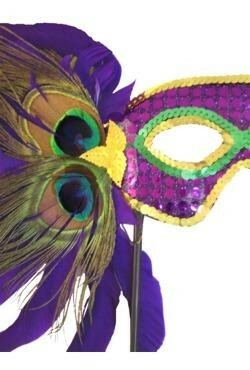 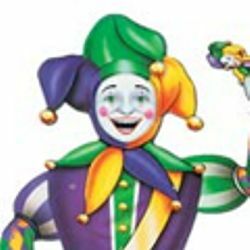 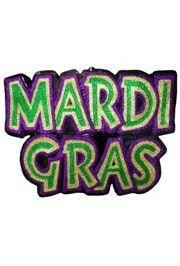 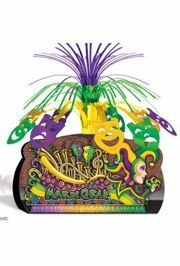 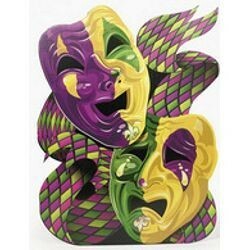 A jointed purple, green, and gold Mardi Gras Jester. 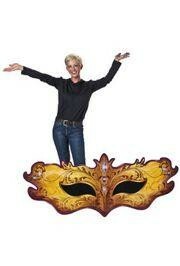 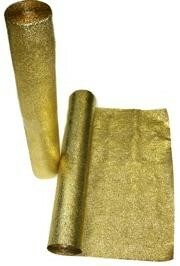 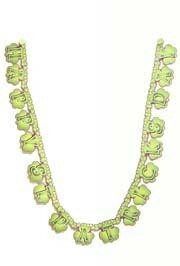 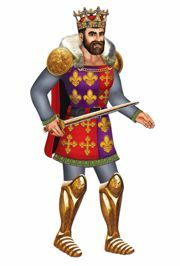 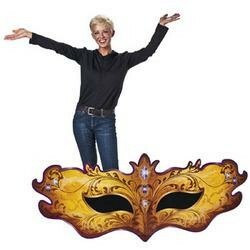 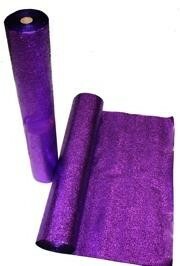 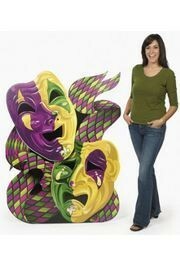 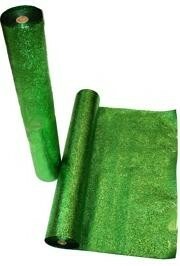 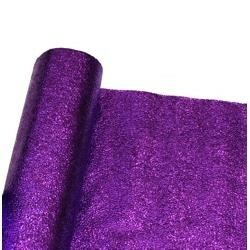 This Jester measures 38 inches x 12 inches. 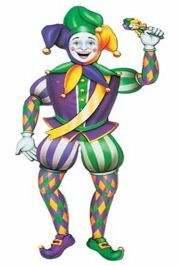 He is jointed at the elbows and knees.